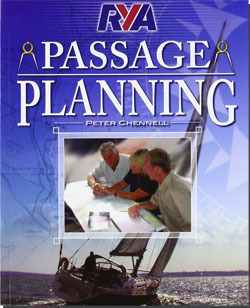 Passage planning should be an integral part to yacht or motor cruising, this informative new title will help you along the way. No sea voyage, whether long or short, offshore or within sight of land, should go ahead without adequate planning and this book is your perfect companion to help you prepare thoroughly before setting off. Written by RNLI Sea Safety Manager Peter Chennell, this book will help you make passage planning routine. It is packed full of useful information on where to find the relevant planning sources and will prove to be a useful companion to all who take their recreation afloat. It is reassuring to know this book comes with the guidance of Peter Chennell… it should certainly reduce the likelihood of needing the RNLI – and enhance your enjoyment from cruising these great waters. His advice is clear, sound and interesting, and the text is accompanied by helpful graphics and colourful pictures.